Hi, lovely readers! The blog, "I am Shelfless" was made by a passionate reader who is perennially shelf-less ever since she became in love with stories through books. Recap #1: Semestral Break Here I Come! I link to The Sunday Post (hosted by Caffeinated Reviewer), Stacking the Shelves (hosted by Tynga's Reviews) and Bought, Borrowed and Bagged (hosted by Talk Supe Blog). Mid-August and September have been an exhausting month, as there was a college event celebrating World Tourism Day at my university. Our section was one of the participants, so we had to prepare for the following competitions: dance, booth making and food showcasing. That said, last month I was only school, props, school works, repeat. This October, only a few more days left of blood, sweat and tears which consists of roleplay, declamation, research, documentation, projects and more school works. One more week until final exams and I'M FINALLY FREE! Last month, I have received some mails and books that brightened up those days even though I haven't had much time as I'd like to read, but I'm hoping I can get back on track soon as semestral break is near. Yay! The titles in purple are signed. 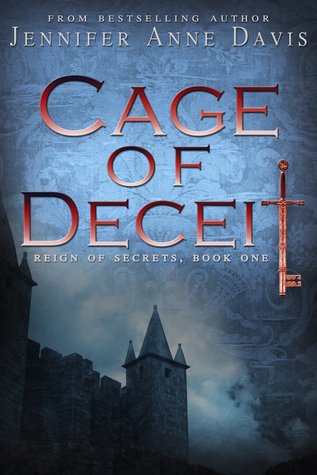 I immediately signed up for the blog tour of Cage of Deceit as soon as I've read its synopsis. I've always been a fan of books that have assassins in it! Blame if for my love of Assassin's Creed and Throne of Glass series. That said, I've had high expectations of books like these and I'm very happy that this book, Cage of Deceit, has exceeded my expectations! Check out my review post as part of the blog tour. Also, I just learned that this book was a spin-off story of True Reign series. How amazing is that? In case you didn't know, the first book of True Reign series, The Key, is free right now! Go one-click it on Amazon! 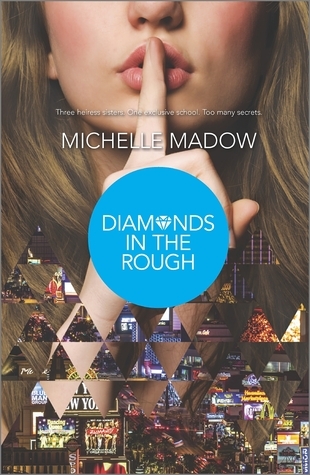 You can check Diamonds in the Rough on Goodreads. Seriously, September was the month that I was unlucky and lucky at the same time. 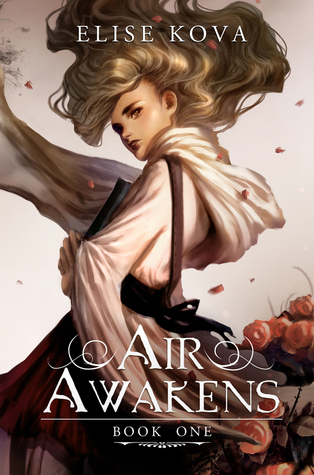 Elise Kova had posted that there were misprints of Air Awakens sent to Amazon. They were going to destroy those, but she said someone would want the books; giving them away in exchange for an honest review. It was a US only shipping, but I still filled out the form, fingers crossed, hoping I'll get lucky and have one. Like I've mentioned before, my aunt was coming back home and that time my dear friend back in the US was willing to ship my things to me so I also included that when I was filling out the form. I didn't receive a reply at first, but then I joined a twitter chat and started spreading about it. Elise tweeted me back that I would be receiving one! YAY! Even though I have one now, I still bought a digital copy. Haha! I can't resist its gloriousness. You can check Air Awakens on Goodreads. 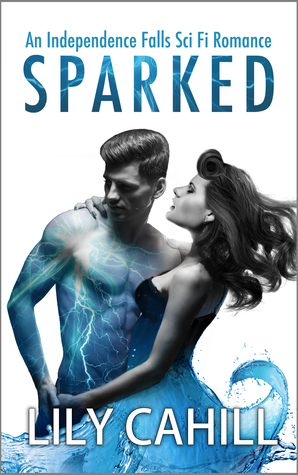 You can check Sparked on Goodreads. I received Fire Falling from the author in exchange for a review. I hope I can finish Air Awakens fast enough, but I still have final exams so maybe I can sneak reading in between lectures ... Haha! No spoilers, please! 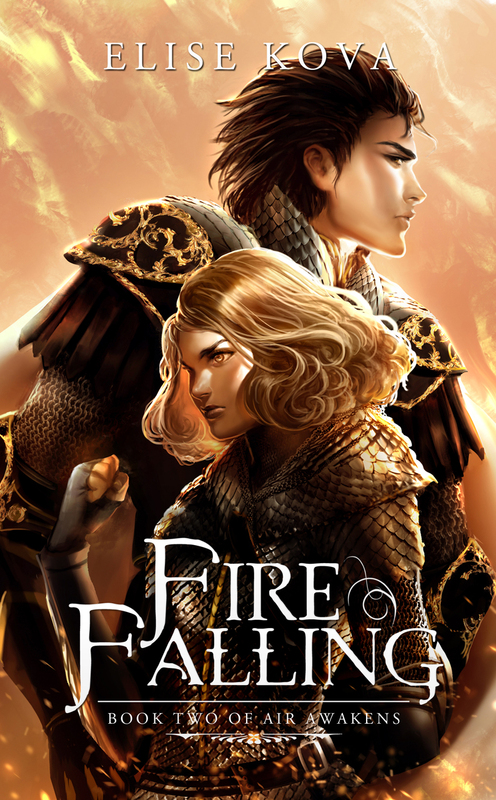 You can check Fire Falling on Goodreads. I also received some Fire Falling bookmarks to give away so check back occasionally on my blog for my review of Air Awakens and Fire Falling to win signed bookmarks! How are you? Get any good books recently?